Stacey Johnson is the third of EIGHT men scheduled to be executed in Arkansas over 10 days in April. Governor Hutchinson intends to execute these eight men before the drug needed for lethal injection in Arkansas expires on April 30. Take action to stop the execution of Stacey Johnson and seven other men in Arkansas this month: Call or write a letter to Governor Hutchinson and make your voice heard. Gov. Hutchinson, do not kill these 8 men in my name. We have the means to protect society with life without parole. Killing to teach people that killing is not the right message for our society. Gov. Hutchinson, as an Arkansas taxpayer, do not spend our state tax dollars executing these 8 men. This will not bring about economic prosperity for Arkansas. Gov. 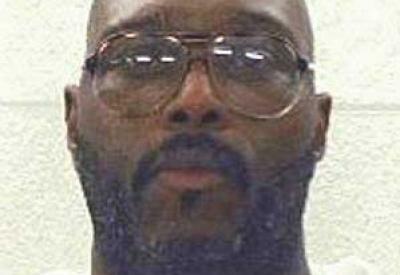 Hutchinson, do not act in haste to execute a man who has not been proven to be the triggerman. Do you really want to execute somebody who perhaps did not commit the crime? Arkansas has not had an execution since 2005. We will not be any safer with these men’s death. We will have just created more victim’s family members. Governor Hutchinson, your actions represent an attack on the value and dignity of human life. Click here to see the urgent appeal sent by Bishop Anthony B Taylor of the Diocese of Little Rock calling for Governor Hutchinson to stop Stacey Johnson’s execution and the seven others.